Midnight Stinger at The Dorsey. Fall is upon us, but these last couple of weeks have felt more like Summer than scarf weather. Before it feels right to even consider anything with the words “pumpkin” or “spice” in the name, the temperature has to drop and the last days of heat waves have to leave us. But that can be a blessing in disguise for those of us who want to get a few last warm-weather cocktails in, and soak up the afternoon rays on a bench or a rocker. We talked to some of the world’s best bartenders to find recipes worthy of the season’s last fleeting moments. Pour, mix, and enjoy—and remember that Fall’s not so bad. Dry-stir to integrate the fruit preserves, then shake with ice and strain into a double rocks glass with ice. Garnish with a lemon peel and a few berries, if you’ve got them. Forget what you know about making tea when you whip up this pitcher-friendly cocktail from China-based Chris Lowder, Spirits Evangelist for Proof & Company. “For this cocktail, start with steeping a heavy cup of black tea,” Lowder says. “Use double the tea bags you would usually use – it gives the drink a nice kick of flavor and a welcome pick-me-up of caffeine to help you get the most out of the last gasp of summer.” Chill the tea beforehand (but not more than a day in advance). For the raspberry syrup, add one cup of white sugar to one cup of very hot water and stir until the sugar is dissolved. Then while still hot, muddle in 12 raspberries. You can use IQF frozen raspberries if you want to… they don’t have to be pretty since we’re muddling here. Let this syrup sit until it’s cool, and then fine-strain. You’re not looking for crazy raspberry flavor here – just enough to give the drink a nice little dose of summertime. Once all the ingredients are cool and ready to go, simply pour them into a chilled Collins glass filled with ice. Add the soda water in last and give it a quick stir. If you’re feeling fancy, feel free to chuck in a lemon wheel and a few extra raspberries for good measure. The Beau Four comes from bar director Leo Robitschek, mastermind behind the bar delights of NoMad Hotel in Downtown Los Angeles. “This lighter take on a Manhattan has hints of orange and mint from the Amaros with a refreshing tone from the cucumber.” Robitschek went with Old Forester 86 proof for its high rye content and honey-esque finish. “The whiskey has upfront fruit and spice notes that works as a great backbone for the drink,” he says. Combine all ingredients and stir with a cucumber slice. Make sure not to muddle the cucumber as it drastically changes the flavor. Pour the cocktail in a mixing glass and garnish with a cucumber slice. Combine all ingredients in a mixing glass, stir and strain into a chilled coupe glass. Garnish with an orange twist. Bourbon, Watermlon, Mint Jalab from Accomplice Bar in Los Angeles. Photo credit: Grant Cornett (from Clean + Dirty Drinking) . Take advantage of watermelon season with this recipe from Gaby Mlynarczyk of Los Angeles’ Accomplice Bar. 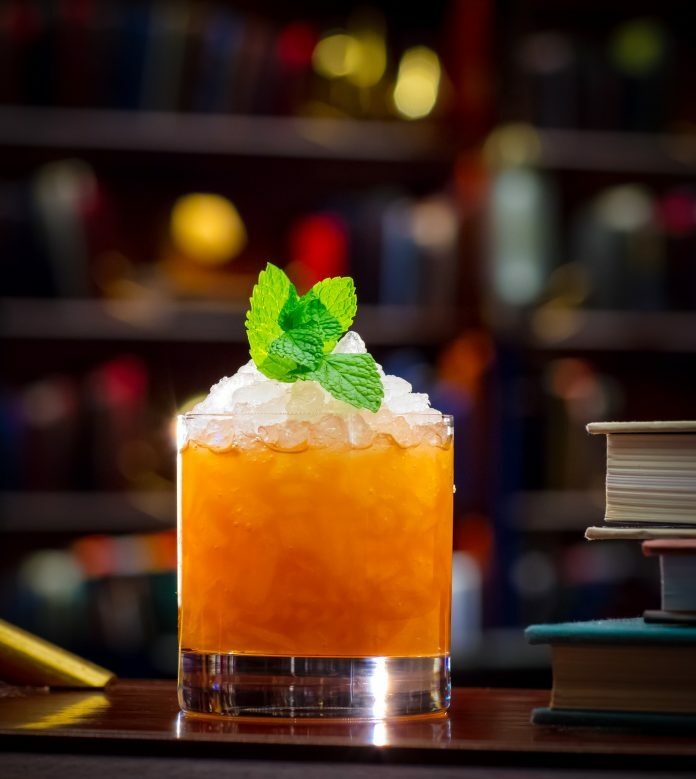 “This drink celebrates the epitome of summer produce, watermelon, roses and fresh mint in this thirst-quenching, spirited version of a Jalab, a booze-free precursor to the julep drank all over the Middle East,” says Mlynarczyk. If you really want to blow out the end of summer, serve this cocktail in a hollowed-out mini watermelon. Look for more of Mlynarczyk’s creations in her forthcoming book, Clean + Dirty Drinking. 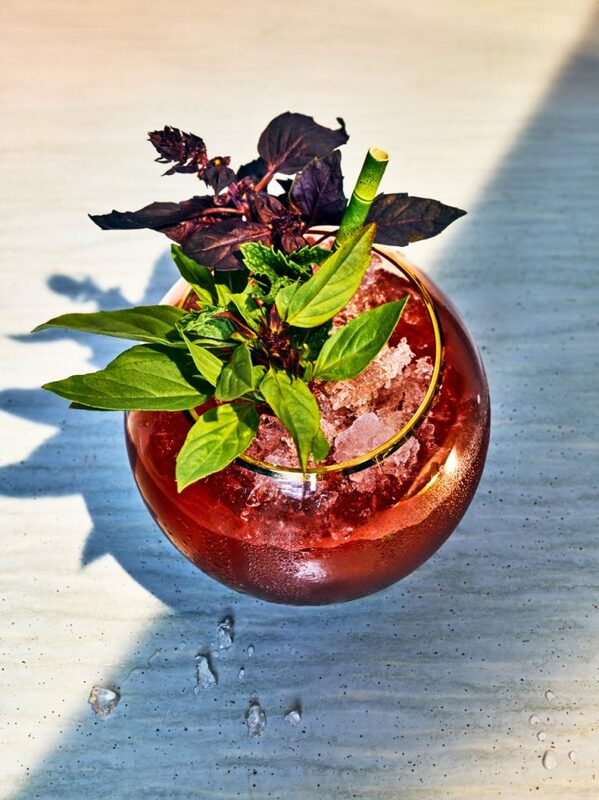 garnish with a mass of mint and basil sprigs for aromatic bliss. The Bar at 9 Below, Dublin, Ireland. Shake together ingredients. Fine strained over ice. Top up with soda water/sparkling water. Garnish with a sprig of mint. 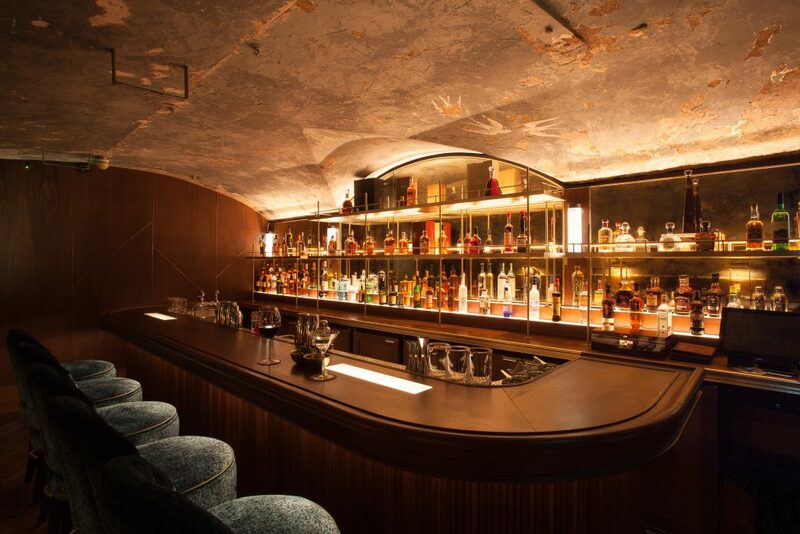 Brandy might be the focus at Tokyo’s Bar B&F, but that doesn’t mean bar manager Takeshi Matsuzawa isn’t a bourbon fan. “It is sweeter than other whiskey because it is made from corn,” he says. “And it has strength like the United States.” Throw your bourbon (in this case Buffalo Trace) in the freezer ahead of time for the best result. Combine ingredients, pour over ice and top up with ginger beer or ginger ale. Pour all the ingredients into a tall glass, add crushed ice, then swizzle the drink to help with mixing. Pour all the ingredients into a mule cup filled with ice and stir for 10 turns. Juyoung Kang from The Dorsey at The Venetian Las Vegas. Serve over crushed ice and some mint sprigs to garnish.